SAP and China Communications Services (CCS), a subsidiary of China Telecom Group, have launched a cloud computing datacentre in Shanghai. The datacentre will be operated by China Datacom Corporation (CDC), a joint venture between SAP and CCS, and will conform to standards set by SAP. “With the operation of the new cloud datacentre, we making the first SAP public cloud product – SuccessFactors HCM – available in the Chinese market,” a SAP spokesperson told BCN. The spokesperson said SAP will work with CDC together to expand the offering and bring more SAP cloud-based solutions to market in the region. CCS, the first customer to adopt the public cloud version of SAP’s offering in China, has completed the implementation of SuccessFactors HCM solution at CDC. In the next phase, CCS plans to extend the implementation to the CCS headquarter and provincial branches. It is expected to reach 15,000 users. The move, initially announced in November last year, is an extension of an existing partnership between the two companies. SAP and China Telecom have previously partnered to offer mobile device management services to the operator’s enterprise customers. Nevertheless, it’s clear SAP isn’t the only incumbent looking to dig its heels into the Chinese cloud services market. 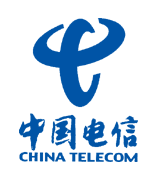 IBM also recently struck a deal of its own with China Telecom that will see the two companies aim their cloud services at SMEs.